Successfully Added GPS Navigation - 7 Inch 800x480 Touch Screen, Bluetooth, FM Transmitter to your Shopping Cart. This is the sensible choice for the sensible driver that wants to find their way around town. Introducing a GPS navigation system that comes with all the necessary accessories to get it set up. 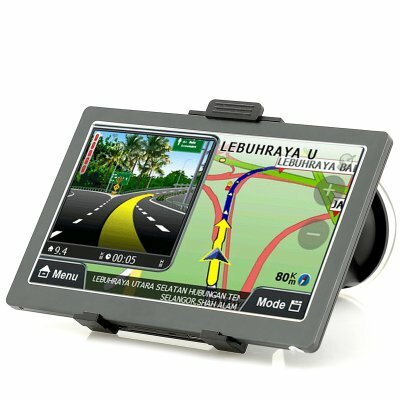 With this 7 inch touch screen GPS navigation system, you will never get lost on the road again. 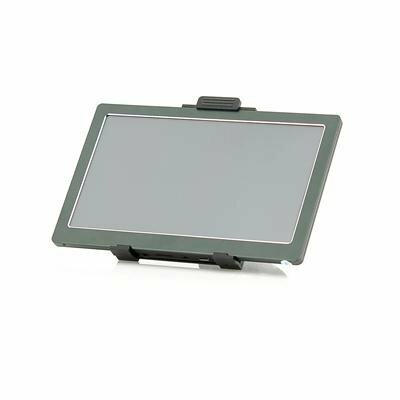 Offering a superb viewing experience with crisp and clear images, the 7 inch 800x480 screen is ideal for displaying maps in full format. Switching between Windows CE and the other multiple functions is as easy as this GPS device uses an intuitive menu system with large icons. Coming with a built-in 850mAh battery, this auto navigation system can provide ample usage time but if need be there is a charger that comes as part of the package. Also this device supports a variety of media formats so you can watch videos, music, photos and eBooks directly. Plus with a selection of ports including a micro SD port that supports up to 32GB, this GPS navigation system for your car lets you bring the entertainment on your journey too. This product is in stock now, we guarantee next working day shipping and offer a 12 months warranty on all our products. Brought to you by the leader in electronic devices and wholesale portable GPS, Chinavasion.